EAST VALINDA >> Foul play is not suspected in the death of a 51-year-old man whose body was found along Azusa Avenue late Saturday, authorities said. Officials received a report about 10 p.m. that a man had been found unresponsive in front of a business in the 300 block of Azusa Avenue, just south of Temple Avenue, Los Angeles County sheriff’s Lt. James Beamon said. 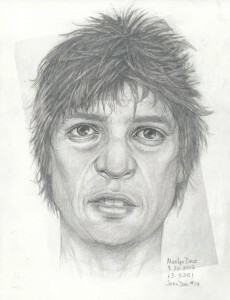 The man, described as a transient, was believed to have been sleeping there. Paramedics arrived on-scene and tried to treat the man, but he was ultimately pronounced dead at 10:30 p.m., the lieutenant said. “It appears to be natural causes,” Beamon said. Investigators from the Los Angeles County Department of Coroner will perform an autopsy. CASTAIC — A man died and rescuers were searching for possible second victim after a boat capsized at Pyramid Lake near Castaic, officials said. The incident was reported shortly before 11:30 a.m., Los Angeles County sheriff’s officials said in a written statement. A man on a jet ski flagged down a deputy to report that, “he had seen something suspicious in the south part of Pyramid Lake, near Chumash Island,” according to the sheriff’s department statement. Deputies went to investigate and found a boat with it’s bow sticking up out of the water, officials said. Authorities suspected the man had drowned, however an officials cause of death was to be determined by the Los Angeles County Department of Coroner. “Deputies also received information that the victim may have been accompanied by a second male,” according to the sheriff’s statement. Sheriff’s and Los Angeles County Fire Department officials continued an underwater search late Sunday afternoon. No damage was noted to the boat, and there were no obvious signs of trauma on the body recovered from the water, officials said. “There is no preliminary sign of foul play, however the investigation continues,” according to the sheriff’s department statement. The investigation was being spearheaded by detectives from the Los Angeles County Sheriff’s Homicide Bureau.